I am so excited! One of my favorite doggy friends in the blog-o-sphere is having a birthday on Thursday! 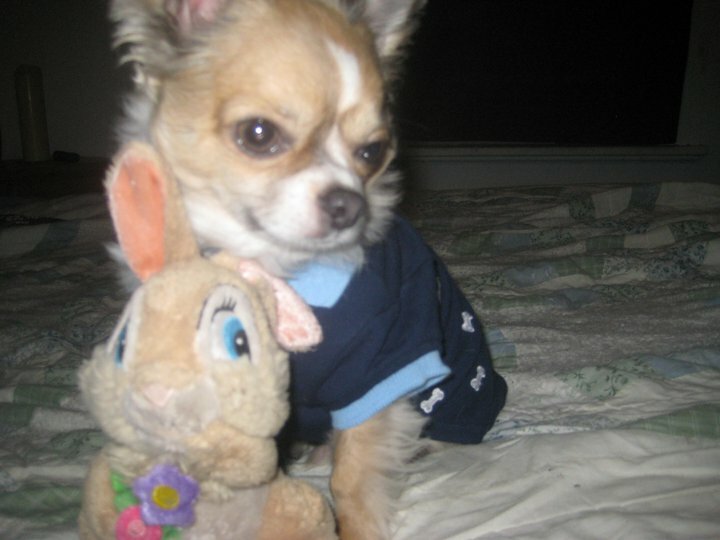 His name is Bullet and he is one of the cutest Chihuahuas that I know! His Mommy writes the popular blog CRichman Freebies where she features product reviews, stories about Bullet, and she has some FANTASTIC give-aways! My Mom has been super lucky and has won a number of her give-aways. The latest one was a Personalized Carved Night Light made by Light Affection. Guess whose photo Mom had them carve for the light? Well of course, it was ME!! Unfortunately when Mom tried to take a picture of it, it didn’t turn out well, because Mom was using her Android Phone, but the photo below from their website gives you an idea of what it looks like. To fully appreciate it you have to see it in person! It is fabulous! You can read about the process of making this light right here. In honor of Bullet’s birthday his Mom is having huge give-aways! 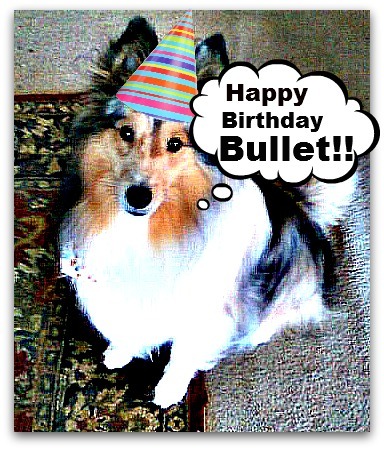 So stop on over, wish Bullet a Happy Birthday, give him a paw-shake, and go ahead and enter to win some great prizes! While you’re at it, tell him Dakota sent ya!! Happy Birthday to Bullet! That’s a great light! I bet yours looks beautiful! Bassetmomma it is sooo beautiful! It just didn’t photograph well enough to use 😦 It is a night light and we have it in the living room and we love it! you are right Novroz…Bullet’s Mama is GORGEOUS!! Snoopy I didn’t know! Thanks for telling me! I am just going through email now. Thanks so much!!! Wowwie! We already knows your Mommy is lucky – she has yous and Cody! Me shall goes and sing the birthday song to Bullet! Thank you for the birthday wishes!!! you are welcome Bullet!!! We love you! Dakota! Mes just saw a most beauteous picture of yous on BlogPaws! Concatulations! Hi Nellie! Thank you!! Yep I was there! mom took that photo and did touch-ups and actually did a good job! Once again, thank you for your visit. I love Dakota’s site, and i look forward to reading more! Just came from your blog which my Mom and I are now following and Callie is a real cutie!! Plus Mom just LOVES her name! Since Mom has a cat blog along with my blog she will one day soon look up the stories of your kitties!! Happy belated birthday Bullet! And Dakota, if your mama figures out that pic, I’d sure like to know about it so I can try it.